With refis rising, where are mortgage rates heading? 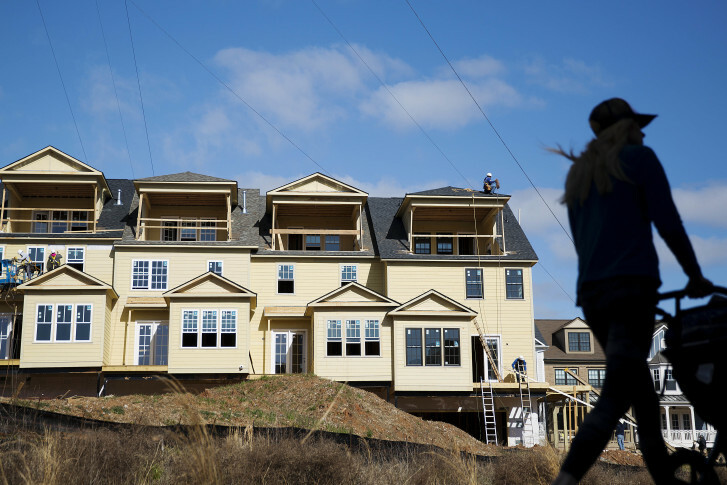 Freddie Mac has revised its outlook for mortgage rates this year and next, now saying 30-year rates won't rise above 3.60 percent this year, and won't be higher than 4 percent by the end of next year. WASHINGTON — Applications to refinance an existing mortgage are surging, and low rates may continue to entice homeowners for some time to come. Freddie Mac has revised its outlook for mortgage rates this year and next, now saying 30-year rates won’t rise above 3.6 percent this year, and won’t be higher than 4 percent by the end of next year, citing the post-Brexit flight to U.S. treasuries as a safe haven investment that will keep U.S. government bond yields near record lows for some time to come. Its previous outlook expected 30-year rates to reach 4.5 percent by the end of next year. As a result, Freddie Mac has revised its forecast for total refinancing activity higher by $100 billion, to as much as $894 billion in total refinancing this year. “Every time there is a dip in rates, you see a little surge, but this is a big surge,” Freddie Mac Chief Economist Sean Becketti tells WTOP. The Mortgage Bankers Association reported Wednesday an 11 percent increase in refinancing activity last week, following a 21 percent surge in refinancing applications the week before. Last week, the rate for a 30-year mortgage was 3.41 percent, while the 15-year mortgage rate was 2.7 percent. Refinancing activity for conventional mortgages is up nearly 65 percent from the same time a year ago, according to MBA data. More than two out of every three mortgage applications is to refinance an existing mortgage right now. “Typically, if a borrower can lower their rate by a half percentage point, that clearly is enough to really provide an incentive to look for a refinance,” says MBA Chief Economist Mike Fratantoni. If it has been awhile since you have applied for a mortgage, either to buy or refinance, be prepared for more effort than you might expect. It can now take 60 days or longer to complete the mortgage approval process, even on a refinance.